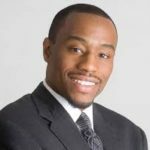 How many times can you justify calls for complete eradication of the state of Israel and the murder of Jews before the academic institution that you work for finally stops offering you a platform that legitimizes your bigoted views?Marc Lamont Hill’s embrace of Jew-hating policies finally caught up with him this week when his remarks at the United Nations included a call for the destruction of the State of Israel, the only Jewish State in the world; CNN immediately fired him. · In 2014, when three Israeli teenagers were kidnapped by terrorists and brutally murdered, Hill stated he didn’t consider those actions terrorism. · Also, in 2014, he complained Israel’s Iron Dome “takes away Hamas’ Military Leverage” over Israel. · Last week, he called for a Palestinian state “from the river to the sea” – a slogan of Hamas, the internationally-recognized terrorist organization that calls for the massacre of the Jewish people in its charter. · Lamont Hill is also a friend of convicted terrorist Ali Jiddah of the Popular Front for the Liberation of Palestine which has a 50-year history of murdering civilians through suicide bombings, plane and bus hijacking, and other armed attacks. Hill has also urged his followers to support Jiddah financially through a GoFundMe via Twitter. Jiddah, a former member of the US-designated terror group PFLP, was convicted to 17 years in prison after planting 4 hand grenades on a Jerusalem street in 1968. The explosion injured nine people. · Lamont Hill wrote a piece in the Huffington Post urging black activists to support Rasmea Odeh after she was convicted by the United States of immigration fraud. The US case relied on Odeh omitting the fact that she had been convicted of a terrorist bombing in Israel in 1970 and served 10 years in prison before her release in a prisoner exchange with the PFLP. 3. Call on major donors to stop funding Temple University until it addresses the spread of anti-Semitic propaganda from this professor who is brainwashing students on campus. 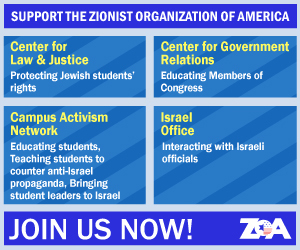 The original petition can be found on StopAntiSemitism.org.